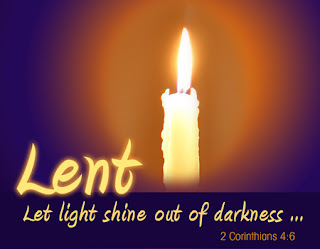 In my 62 years of life, all of which I have spent as a Catholic, including more than a quarter of a century of Catholic education from elementary, secondary, undergraduate and graduate schools, this Lent feels the most dismal of them all -- at least to me. There is so much that is absolutely grand and wonderful in our Catholic expression of Judaeo-Christian faith! All of the efforts of so many good people: lay persons who give of themselves over and over again for the good of their neighbors; religious women and men who are dedicated to the visions of their founders in prayer and outreach; the many dedicated people of all states of life serving on parish, diocesan, national and international staffs doing their best to help. The bishops, deacons and priests who are good, normal, down-to-earth pastoral and loving men who want only to be the best ministers of the Gospel they can be. And yet, so many of the human elements of the institutional side of the church have succeeded in tarnishing, trashing, and for so many people of good faith, demolishing the whole experience. The Church is so much more than the "institution", as Jesuit Avery Dulles always stressed, but it is this external edifice that usually draws the most negative attention to itself. And it is often those externals that have affected our families, our friends, and ourselves most significantly. Is it any wonder that so many people find peace in saying that they are people of faith, but that they are not "religious"? We can try to correct that view by saying that religion is more than the externals, but those words can sound awfully hollow and false to someone suffering great pain at the hands of external religious practices and authorities. Outsiders are locking miters with the U.S. Catholic bishops, but inside the church itself a creeping factionalism accelerates the animus. On the left, Catholic “progressives” mock the bishops, seeing them as a crooked gang of celibate old men making rules for women; and on the right, conservative firebreathers continue their scorched church policy, offering new directions toward exit doors for Catholics caught in the middle. See these Christians: how they love to fight each other. This is not what I signed on for. Where’s all the good stuff that used to energize me about being Catholic? Where’s all the feeding of the hungry, the clothing of the naked, the caring for the sick, the loving as we have been loved? Where is the community gathered to break bread not heads? The broader secular culture already regards us as somewhere between delusional and dangerous, we seem to be hurrying to confirm that diagnosis. Speaking for myself at least, I find Kevin's reflection an exact echo of my own feelings this Lent. I have the sense that we Catholics, this Lent, have some serious soul-searching to do during this period of Purification and Enlightenment (as we refer to it in the RCIA). Anyone who has followed the blogosphere or any number of media outlets covering the latest scandals, the latest lawsuits, the latest public debates on religious freedom realizes that it is not only WHAT people are saying that is so disturbing, but HOW they are saying it! Is this REALLY how Catholic Christians should engage in the kind of serious, reasoned discourse that our contemporary world -- and its amazingly complex realities -- deserves? How does this kind of public behavior reflect the inner transformation that should mark our ongoing metanoia as people of faith? Specifically for readers of this blog (assuming there are any! LOL! ): how can we deacons best serve the common good of all peoples? How can we find ways to reconcile and unite rather than continue the vitriolic alienation of good people who are simply trying to do their best with their lives? In Hebrew numerology, the number 40 is always associated with a period of human preparation and testing for a mission. It is, in a way, a kind of spiritual "boot camp" to prepare people for what is to come next. The forty years the Israelites wandered in the desert on their way from slavery into the freedom of the Promised Land were to help prepare them for their new covenant with God. The forty days and nights of the great Flood were to prepare the people for the new covenant with God. The forty days Jesus spent in the desert being tempted were to prepare him for his own public ministry. 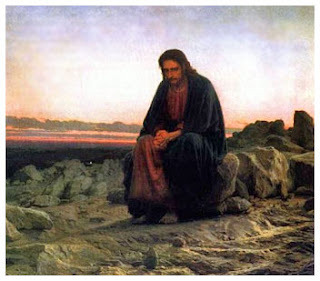 May our own desert wanderings this Lent help us find ways to move from the slavery of our own passions, anger, resentments and pain into a Promised Land of freedom of the Christ who came to reconcile all things, to heal and to save. We need that Light today more than ever, not the Darkness that seems so often to be engulfing us. This is so beautifully put, thank you. I agree completely with your sentiments. For my part, I'm coordinating the showing of Father Robert Barron's "Catholicism" series of videos at my parish. Last night was our first session, and we had a very good crowd. Their reaction was universally positive. At the risk of sounding like a "cheerleader" for Father Barron, I heartily recommend the Catholicism series for adult faith enrichment. It truly captures the essence of our Catholic faith, and should appeal to all thoughtful people who are seeking to enhance their understanding of Jesus Christ, the Church, and everything that is GOOD about the Catholic faith. For me, the series is a great respite from so much negativity that we're experiencing these days. I hope more of my brother deacons consider bringing "Catholicism" into their parishes (with their pastors' permission, of course!). Bill - couldn't agree more. These are the important things we need to consider as we begin another Lent. Let's hope we can get out of the wilderness. I have long been grieved by the tone of the conversation in many parts, on many topics, in the Catholic sphere. So much vitriol, so little charity. Is this how we would address Jesus? Yet, it is how we address Jesus. Can we not imagine that the other person we are addressing is a person of faith? of prayer? And say the things we say? Came here via The Deacon's Bench. I work in a Catholic parish in central Florida - those corporal works of mercy are being carried out valiantly by people in my very own parish and I am blessed to interact with these people every day. I see the vitriol - but I see it on the blogs - not 'in real life' - so I wonder if the online community exaggerates this a tad - I'm not sure people are as vindictive in person without their computer screen to hide behind? I hope not. Excellent article! I fully agree that loving people are helping to do "the Lord's work" capably and quietly, without drawing attention to the fact. So, let's ignore the negatives and the vitriol -- and help each other "get on with it." Begin the most amazing journey of your life and learn your ultimate purpose.